We have created a Marketplace to help connect vendors and affiliates. 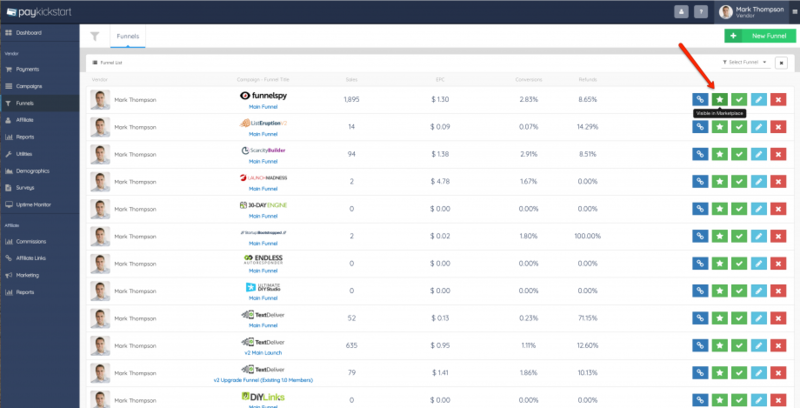 The Marketplace allows affiliates to search through available products including various performance metrics and request to promote. In order for a vendor to add their Campaign to the Marketplace, they first must Enable it in the Campaign settings and pick which categories and sub-categories the product should be listed under. The vendor must also have at least 1 funnel that is visible in the Marketplace for the Campaign to show up. 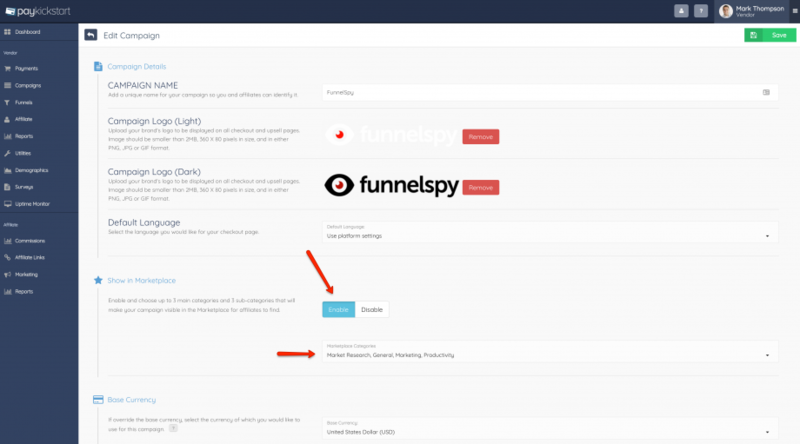 When under “Funnels” you will see a toggle that allows you to show/hide each funnel. You will also see an option to show/hide in the Marketplace when in the Funnel builder. To confirm your Campaigns are listed properly, you can click on the Marketplace icon to view the Marketplace.